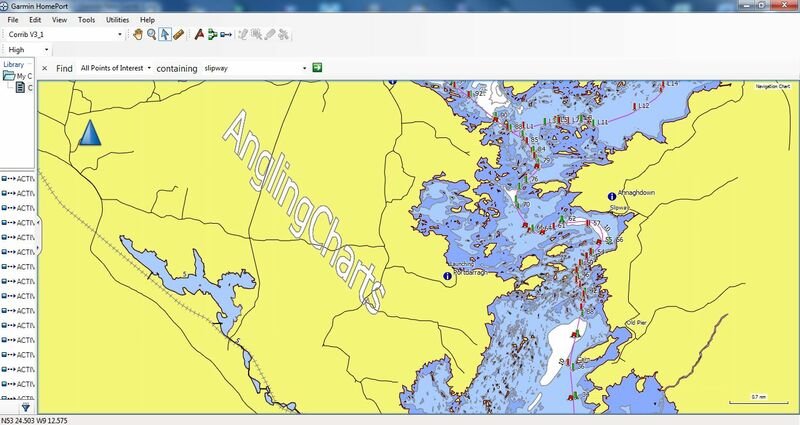 New Navigation system means New Charts !! Because the new new marking and routing are so different to the old system new charts have had to be created. The new charts for GPS have helpful "callouts" to help you remember and learn the meaning of the buoys. The new system complies with International standards, and the change in routing will hopefully keep the lake a lot safer by routing people away from some of the most dangerous shallows. The new charts also contain the results of 2 thousand miles of new survey data from some of the less frequented areas of the lake, and are fully contoured from Galway to Maam. You find every one of the 1327 islands as well. There is a lot of new buoyage, and the "old steamer channel" is being downgraded. The new primary route will be across from Greenfields to Inchagoill, and up to Lisloughrey, with a branch from Inchagoill to Maam. 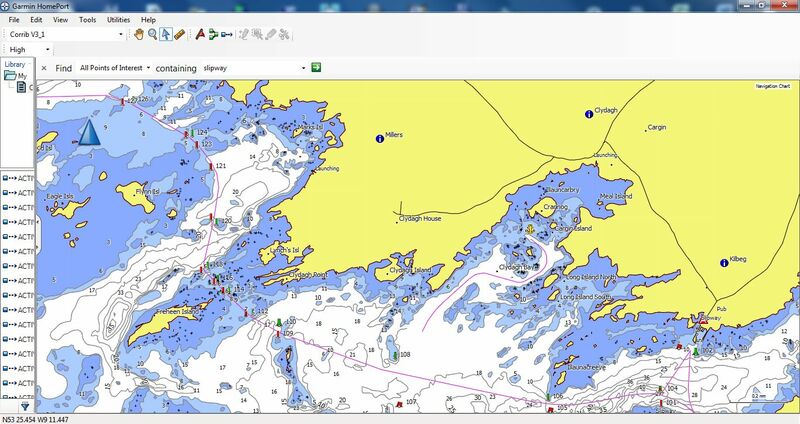 To help with the transition I have used callouts in the charts containing descriptions and meanings of all the buoys. If you are unsure which side to pass a West Cardinal, guidance is here. Why you need to update. 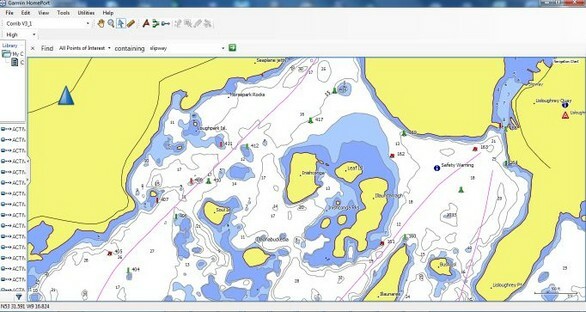 The problems are particularly hazardous on the older Garmin G2 GPS charts, where not only will many buoys now be missing, but they will be the wrong colour and shape, potentially directing you into danger. This would be especially dangerous for a new user on the lake, or someone buying their first GPS.